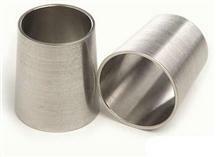 Get rid of squeaky and or a loose front suspension with new 1979-93 Mustang ball joints from LatemodelRestoration.com. 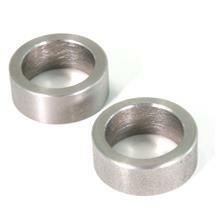 Fox Body ball joints wear over time, leaving you with a noisy or loose front end. 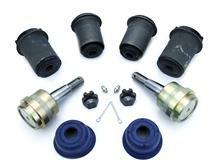 Our direct replacement from MOOG and Steeda ball joints will get your Mustang back on track. 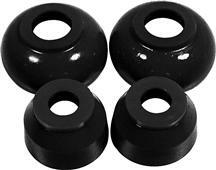 Pick up a set of ball joint dust boots to replace OEM boots that tear and fall apart over time. These ball joints fit 1979, 1980, 1981, 1982, 1983, 1984, 1985, 1986, 1987, 1988, 1989, 1990, 1991, 1992, and 1993 Fox Body Mustang. Shop Latemodelrestoration.com for your direct replacement ball joints. Having worn ball joints is very noticeable from the front end squeaks, clunks, and loose feeling not to mention a saftey hazard! 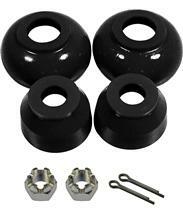 Choose from Steeda or MOOG ball joints to get your Fox Body feeling like new again. Replace just the damaged boots with Prothane's replacement ball joint dust boots to protect them from dirt and debris.